As we approach hanami season in Japan, now is the best time to start celebrating yourself. In life we can get so caught up in doing what we need to survive that we can forget do to what we need to thrive. Struggling instead of striving can impact every aspect of our lives. Whether we struggle or strive is one part circumstances and one part mindset. We cannot always control our circumstances or thoughts, but we can strive to be forward-facing and positive. 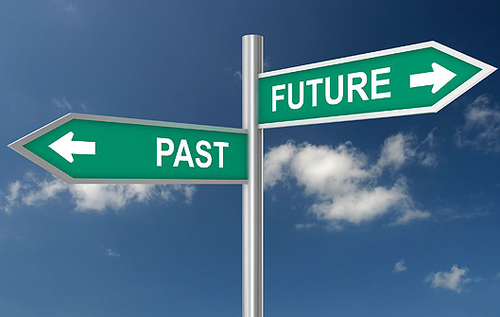 Being forward-facing is about letting go of the past and focusing on the future. Our past informs us but should not control us. It is often an easier-said-than-done to achieve this mindset, but with work it is achievable. The first step is to realize that we are in control of our actions and our thoughts. This means that we are ultimately responsible for who we are. Acceptance that we choose how much we allow past pain to impact our daily lives can revolutionize how we live today. Letting go of our past is a process. I find that it is helpful to start with the work of forgiving past actions, both our own and those of others. Forgiving is about your happiness. Forgiving diminishes the power the past has over you. Realizing that the people in your past hold no power over your present is liberating. There may be people who you have history with in your present who cause you pain. That is a different matter entirely. People from our past are the people who haunt us but no longer interact with us. This may be an old boss, a former friend, or a past lover. Their actions linger in our minds and take away feelings of joy for what is in our life now. Forgiving them allows us to move on. Forgiving them takes away their power to impact our present. It is helpful if the people from our past are willing to help us heal, but their cooperation is not necessary for us to heal. If the people who haunt us are unable or unwilling to be a part of our healing process, we can heal without them. If we are experiencing a connection to a past event, it is most often created by regret. And regret is most often a byproduct of words left unsaid or actions left undone. In the case of words left unsaid, it is a matter of finding ways to express ourselves and have those words heard. With actions left undone, it is usually a matter of forgiving ourselves and the people who didn’t take action. This sounds easy, but is really difficult: It requires that we have compassion for someone who has caused us injury. Having compassion for those who have wronged us takes practice and is a gradual process. It begins with looking at things from their perspective. Asking ourselves why they behaved the way they did. Were they too scared, too selfish, too injured? Was it something else? When we can look at their motivations, it provides an alternative viewpoint with new insights. The intent is to clarify, not justify. When we begin the process of understanding, we begin the process of feeling compassion for ourselves and others. Compassion is restorative. It builds resilience, which is the foundation of enduring happiness. Developing compassion for self and others will reduce how much pain and anger we carry with us in our daily lives. Knowing that we, too, are worthy of compassion will help us be mindful of our own needs. When we treat ourselves compassionately, we spend less time dwelling in the past and more time building for our future. Positivity is an active choice, one we can make every second of every day. We choose who we are. We choose how we react. We are in control. Knowing this, owning this truth, is freeing. It is also a bit daunting. It can feel a lot like “Okay, I’m in control. Now what?” The first step is claiming ownership. The second is deciding the type of life we want. The third step is focusing on things that bring us closer to living our best lives. The future is yours, so what are you going to do with it? What do you want out of life? Who do you want to be? Once you figure out the answers to these questions, you can start taking the actions that result in you living your best life as the best version of yourself.